Celebs are always ahead of the trend-setting curve with their dapper and suave looks, all thanks to expert styling. Its their X factor that separates the best from the rest! 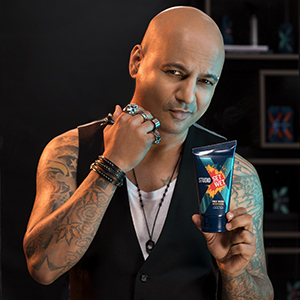 Set Wet Studio X, co-created with top celeb stylist Aalim Hakim is that X factor for your daily grooming routine. An expert grooming range for men who want to sport that celeb look everyday. Keep your style game effortlessly on point. Take the spotlight and be the trend. 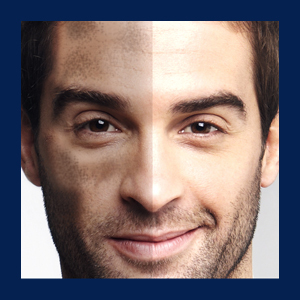 First impressions are everything and your face is a prominent part of that deal. 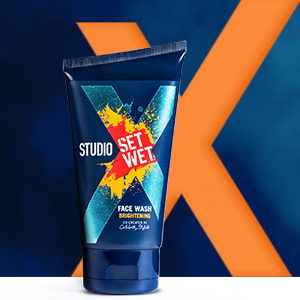 Studio X Brightening Face Wash For Men is the only freshness radiator you need to keep the spotlight on you, all day long. Powered with claire-blanche II ingredient it brightens skin and gives you a burst of cooling , for an instantly bright and fresh face. 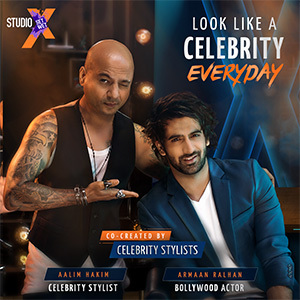 Set wet studio X, co-created by top celeb stylist Aalim Hakim is an expert grooming range for men who want to sport that celeb look everyday. Keep your style game effortlessly on point. Take the spotlight. Look like a celebrity everyday. Studio X brightening face wash is the only freshness radiator you need to keep the spotlight on you, all day long. Powered with Claire blanche for clear skin and amped by a burst of menthol cooling, it’s your shortcut to a picture perfect face! Claire blanche: Natural, skin brightening agents. Moisturising agents for hydrated and nourished skin. Effectively cleanses grime and pollution.